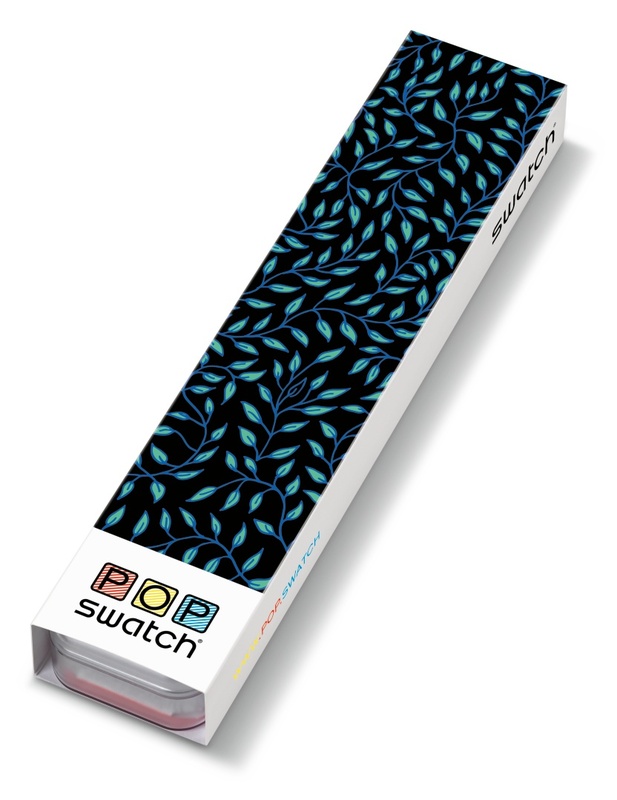 Swatch has a very new release and I was so happy to be part of the launch in Madrid. As you might have seen on Instagram Stories, I was invited to the presentation of the new swatch timepiece called MELUSINE. 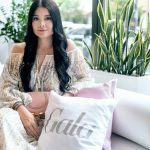 It was such a great event, because fashion designer, illustrator and DJ Brianda Fitz Jame Stuart herself presented her own masterpiece and I could meet her in person. By the way, she is the granddaughter of the well-known duke of Alba. So I had a very interesting interview with her and I´m fascinated by the new swatch timepiece. Today I would like to give you some exclusive insights concerning the release and the design. It is more than a beautiful and useful accessory on your arm. In my eyes a timepiece could stand for personal values, it is rather a symbol for the very own lifestyle and the familiar background. If you have found your favourite watch, it accompanies you the whole life. 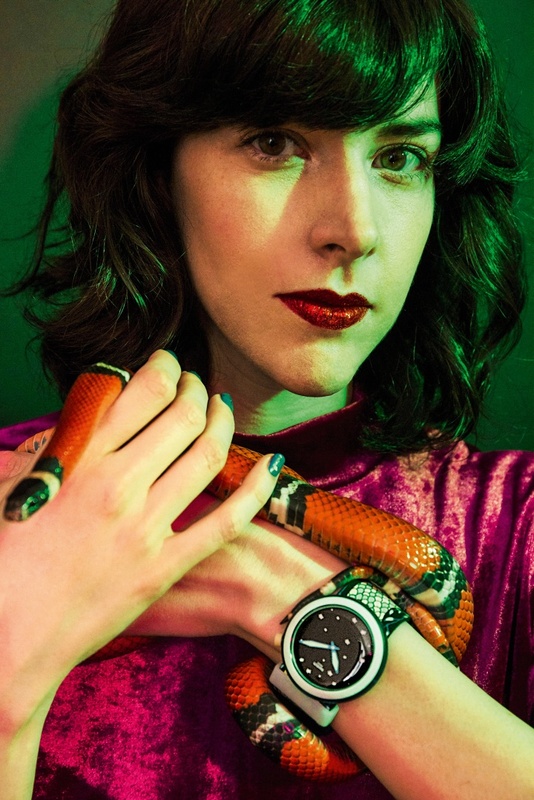 So DJ Brianda Fitz Jame Stuart put all her personality and sense for creative design in the new swatch collaboration and I was very impressed. 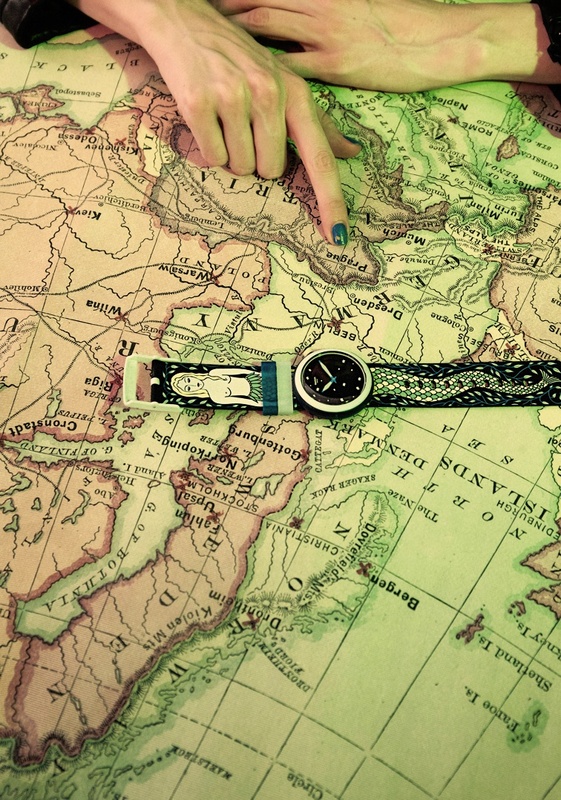 Her collaboration with swatch invokes a strong feminine edge. After her graduation, Biranda lived in New York and worked with international fashion houses and top artist. She could use her experience for the collaboration with swatch to create her own masterpiece. In our interview, she told me that she loved he first swatch because it was so unique that she really felt “special” and powerful. But why does the timepiece is called MELUSINE? As you have a look on the design, you could see the powerful mermaid pictured on the wristband. Melusine, is the legendary daughter of Elynas, King of Scotland. Moreover the special thing about Melusine is that her intriguing beauty hid a dark secret. Part woman, part serpent, her angelic face attracts a lot of suitors. The design of the dial present the struggle of attraction. To sum up Brianda present with her swatch timepiece MELUSINE not only the fascinating story about Melusine but also the vision and mistery and the nature to life. The timepiece itself is made for both women and men and I think it is a very special detail on your wrist. It was presented in a secret IN location in Madrid. There was the so called Universe room, where you have the feeling to lost the ground under your feets. For this reason, it was the perfect place to be to have a look on the new collaboration and really feel the special magic charm of this swatch timepiece. The perfect accessory to bring some personality in your basic style. 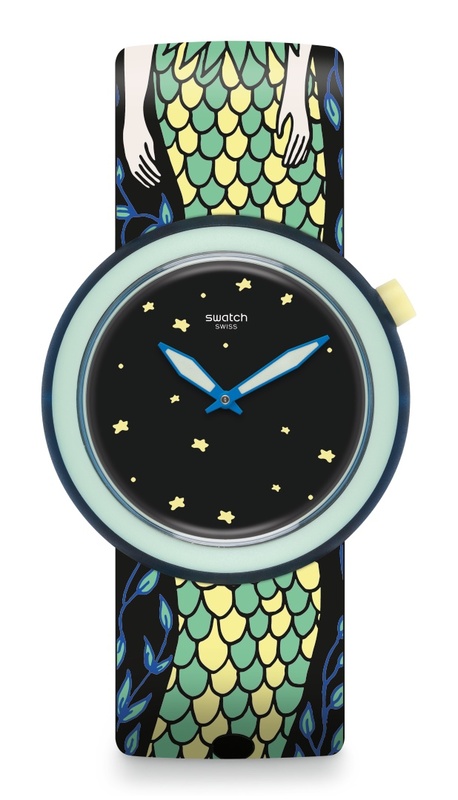 What do you think about the new swatch collaboration MELUSINE with Brianda? The next cinema night is planned – what to wear?